The Mayor’s accomplishments are many and include a myriad reforms and initiatives that have greatly improved the quality of life in Warren. James “Jim” R. Fouts is an American Elected Official and the incumbent Mayor of the City of, the third largest city in Michigan. While in office, The Mayor’s accomplishments are many and include a myriad reforms and initiatives that have greatly improved the quality of life in Warren. His cost saving initiatives saved the city significant expenditures by consolidating and streamlining multiple city departments. Those initiatives not only streamlined the city’s Budget and fiscal Policy but also improved the efficiency of city operations and were honored with an Award given to the Mayor. 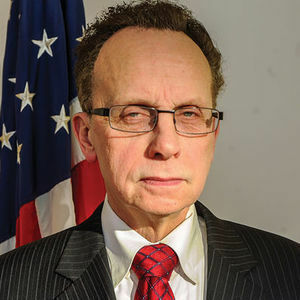 Under Mayor Fouts’ many initiatives, the city implemented a number of programs that connect the community with government and make government more accessible, among them, a weekly program called Fouts Forum, where the Mayor interviews community and business leaders. Jim R. Fout’s investment in attracting high-tech industry, along with automotive manufacturers and suppliers has created a sprawling downtown area which has houses a mix of start-up businesses, incubators, and accelerators alongside established industry giants and a multitude of public amenities. The Mayor’s efforts in attracting businesses have brought companies such as General Motors, who have invested $1 billion in a new GM Technical Center, the development of the Chrysler Manufacturing Complex, also known as Dodge City, which has become a major producer of the popular Ram and Dakota models and many other research and manufacturing operations. These initiatives have also produced new developments, new shopping centers, and supermarkets such as Meijer and Menards. One of Mayor Jim Fouts personal heroes is the Former President Harry. S. Truman, a man greatly admired by the Mayor for his honesty and work ethic. You will often find on the mayors desk harry Truman’s motto, “The Buck Stops Here”.